What do think they're saying? 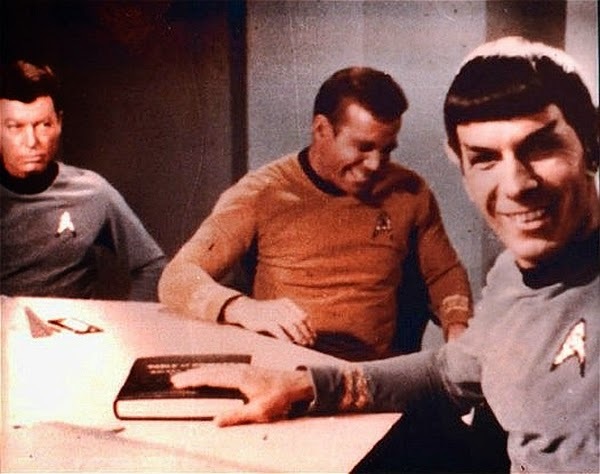 What are Kirk and Spock laughing about? How would you describe the scene? This week's "Caption This!" is from Star Trek: The Original Series. 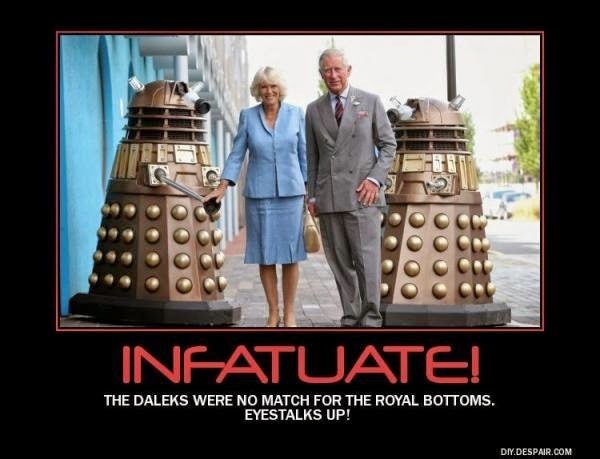 Today's caption winner is David Walston! Make sure you check out his blog and follow him on Google+! I'm thinking Vulcan farts are really nasty. McCoy is saying, 'No. I don't think its funny that Simon Pegg is playing me in the movies'. Spock and Kirk playing a game of "Got Your Nose, Bones"... Bones response, I am doctor dammit... not your personal gag reel! DeForest Kelly - Yes, I said giant killer rabbits. Why is that so funny? He thinks he's a doctor! Well I'll be damned. Polywater intoxication! Again! Nutschell nailed it, theres something really magical about these snapshots in time. I may not be a pointy-eared elf, but I know that boogers under the table are just wrong. Spock: Whoopi cushions are not logical... but they sure are funny. Agreed with the Godzilla CRAP CAKE! I got nothin'---but it' s funny to read through everyone else's cleverity. I'm an actor, not a doctor! He's a helmsman, not a doctor! "What," Bones said, "all she said was 'Hab SoSli' Quch'? I assumed it was a compliment." McCoy is saying "Jim, I'm a doctor, not a thespian, so don't expect me to pretend that your infantile humor is amusing." Bones: Oh Yes, He Did!!! That pointy-eared hobgoblin put IcyHot in my Preparation H!!! kirk: well bones it looks like you lost your bet that spock has no sense of humour. You should have heard what he just told me.